Links to models stored elsewhere, and other libraries of models. I just published three short videos with sample models, illustrating representation of discrete and random events in Vensim. In formulating a model of an industrial operation, we suggest that the system be treated, at least initially, on the basis of continuous flows and interactions of the variables. Discreteness of events is entirely compatible with the concept of information-feedback systems, but we must be on guard against unnecessarily cluttering our formulation with the detail of discrete events that only obscure the momentum and continuity exhibited by our industrial systems. In beginning, decisions should be formulated in the model as if they were continuously (but not implying instantaneously) responsive to the factors on which they are based. This means that decisions will not be formulated for intermittent reconsideration each week, month or year. For example, factory production capacity would vary continuously, not by discrete additions. Ordering would go on continuously, not monthly when the stock records are reviewed. These comments should never be construed as suggesting that the model builder should lack interest in the microscopic separate events that occur in a continuous-flow channel. The course of the continuous flow is the course of the separate events in it. By studying individual events we get a picture of how decisions are made and how the flows are delayed. 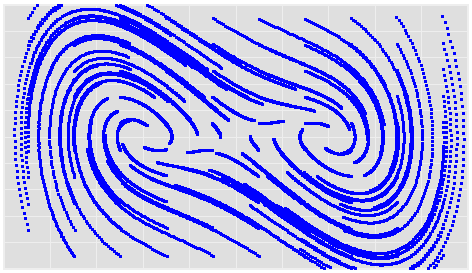 The study of individual events is on of our richest sources of information about the way the flow channels of the model should be constructed. When a decision is actually being made regularly on a periodic basis, like once a month, the continuous-flow equivalent channel should contain a delay of half the interval; this represents the average delay encountered by information in the channel. The preceding comments do not imply that discreteness is difficult to represent, nor that it should forever be excluded from a model. At times it will become significant. For example, it may create a disturbance that will cause system fluctuations that can be mistakenly interreted as externally generated cycles (…). When a model has progressed to the point where such refinements are justified, and there is reason to believe that discreteness has a significant influence on system behavior, discontinuous variables should then be explored to determine their effect on the model. 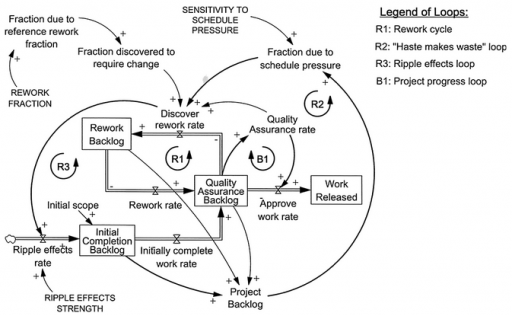 In the current work, a simple validated project model has been used to quantify the schedule impacts of three common reinforcing feedback loops (rework cycle, “haste makes waste”, and ripple effects) in a single phase of a project. Quantifying the sizes of different reinforcing loop impacts on project durations in a simple but realistic project model can be used to clearly show and explain the magnitude of these impacts to project management practitioners and students, and thereby the importance of using system dynamics in project management. This is a more formal and thorough look at some issues that I raised a while ago, here and here. 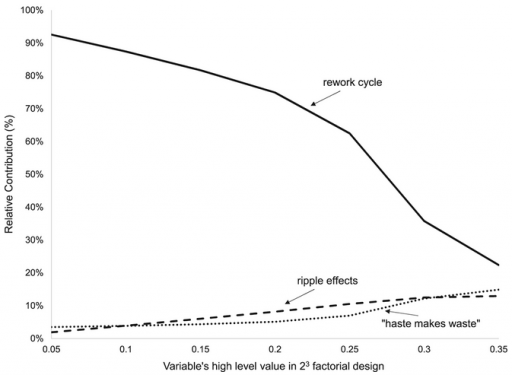 The graph shows that, regardless of the value of the variables, the rework cycle has the most impact on project duration, ranging from 1.2 to 26.5 times more than the next most influential loop. As the high level of the variables increases, the impact of “haste makes waste” and “ripple effects” loops increases. Project failure occurs when it crosses the tipping point at which completing one task creates more than one task of rework (red flows). 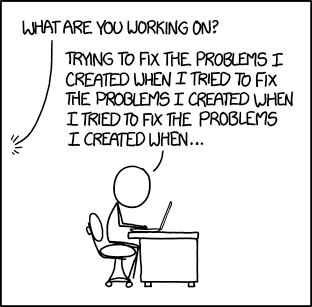 Some rework is inevitable due to the error rate (“rework fraction” – orange), i.e. the inverse of quality. A high rework fraction, all by itself, can torpedo the project. which means that the ripple effect can only cause problems if quality is poor to begin with. Similarly, schedule pressure (green) only contributes to rework when backlogs are large and work accomplished is small relative to scheduled ambitions. For that to happen, one of two things must occur: rework and ripple effects delay completion, or the schedule is too ambitious at the outset. There’s a nice description of the tipping point dynamics here. MIT’s Climate Collaboratorium has posted java code that it used to wrap C-LEARN as a web service using the multicontext .dll. If you’re doing something similar, you may find the code useful, particularly the VensimHelper class. The liberal MIT license applies. However, be aware that you’ll need a license for the Vensim multicontext .dll to go with it. 1) To develop a model that reasonably simulates the historic attacks by the al-Qaida terrorist network against the United States. 2) To evaluate the usefulness of the model for developing public understanding of the terrorism problem. The full model and report are available on my website. The reference mode for this model was the escalation of attacks linked to al-Qaida against the U.S., as shown below. The data for this chart is available through this Google Document. 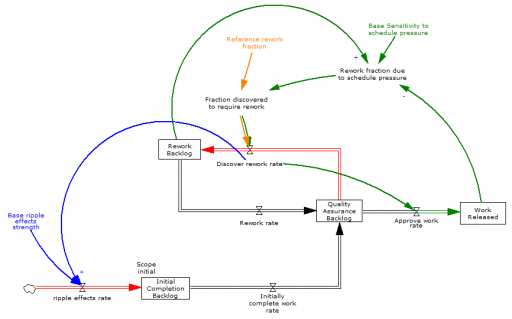 Below is the causal diagram of the primary feedback loops in the model. There is an online story version that explains the primary model structure as well as complete iThink and Vensim models on my MQP page.